Okay, January could not have got more exciting. While Bollywood is looking forward to the big clash between Shah Rukh Khan’s Raees- Hrithik Roshan’s Kaabil, there is another surprise waiting for us, a grand surprise rather. Turns out, Prabhas’ Baahubali 2′s first teaser will be out on 25th January. Yes, that’s right! And it will be attached with Raees! As a Baahubali fan myself, couldn’t have asked for better beginning to 2017. For all you know, the teaser will steal both movies’ thunder, what say? This is the ultimate bonanza. Baahubali 2 is one of the most awaited sequels of all times for so many reasons, one, we will finally know the answer to why Katappa Killed Baahubali, two to see yet another masterpiece directed by SS Rajamouli. If you thought Baahubali was big, get ready for a grander, bigger movie with Part 2. In terms of visuals, war sequences, architecture, this movie is all set to blow our minds away! Currently the team is still shooting, finishing off the last leg, but don’t worry, the movie will release on 28th April as planned as the post production is going on simultaneously.Until then we have the teaser to look forward to! Yay! It was on October 22 the grand first look was launched at the Jio MAMI 2016 Festival. The entire cast and crew were present – SS Rajamouli, Prabhas, Tamannaah Bhatia, Anushka Shetty and producer Shobu. Rana Daggubati who plays the lead antagonist could not make to this event. They spoke at length about the movie and its expansion into graphic novels, animated series and virtual reality games. 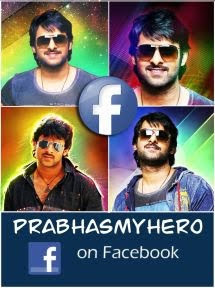 The first look showcased both avatars of Prabhas. While fans were only too thrilled about the first poster, it did not live up to the expectations. We are really hoping the teaser blows our minds and triples our excitement for this magnum opus. 2017 already seems like a great year with this news out. So how excited are you about the Baahubali 2 teaser? What do you think the teaser will be about? Will it finally show us a glimpse of the much talked about Devasena-Amarendra Baahubali love story?